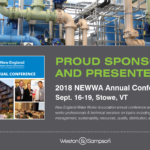 Weston & Sampson representatives are presenting and moderating at the 2018 NEWWA Annual Conference in Stowe, VT.
Weston & Sampson is a proud sponsor, exhibitor and presenter at the 2018 South Carolina Environmental Conference (SCEC) March 11-14 at the Sheraton Myrtle Beach Convention Center. 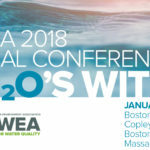 Weston & Sampson is sponsoring and presenting at the NEWEA 2018 annual conference January 21 – 24 at the Boston Marriott Copley Place. 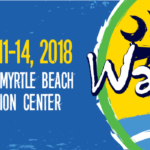 Weston & Sampson is exhibiting at the 2017 Rhode Island League of Cities and Towns annual convention January 26 at the Crowne Plaza Hotel, Warwick RI. 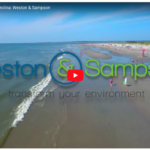 Weston & Sampson is presenting at the NEWEA 2017 annual conference January 22 – 25 at the Boston Marriott Copley Place. 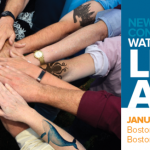 Weston & Sampson is exhibiting the 2017 MMA Annual Meeting on January 20 & 21, 2017, at the Hynes Convention Center and Sheraton Boston Hotel.